If your child is facing juvenile criminal charges and has been charged as an adult in Essex County or anywhere else in New Jersey, the consequences could be severe. You son or daughter could be looking at real jail time with hardened criminals. Beyond that, an adult criminal record could make it impossible for your child to go to college or get a good career in the future. This might be the most important moment of their lives. It is imperative that they have an experienced attorney on their side. The criminal defense attorneys at the Tormey Law Firm understand the nuances of juvenile law in New Jersey. Moreover, we have vast experience in the NJ juvenile justice system and have defended juvenile clients against charges ranging from simple possession of marijuana and disorderly conduct to aggravated assault and unlawful possession of a weapon. We regularly appear in superior and municipal courts throughout New Jersey, including courts in East Orange, Bloomfield, and Irvington. Additionally, one of the firm’s attorneys previously served as a Special Deputy Attorney General and Assistant Prosecutor in New Jersey, so we have a unique understanding of how prosecutors think in juvenile cases. Call the Tormey Law Firm now at 201-654-3464 to speak with an experienced attorney about your child’s criminal charges. The juvenile court system is very different from the adult court system. The principles that govern juvenile court tend to focus on rehabilitation. That’s because juvenile judges are primarily concerned about “the best interests of the child.” By contrast, the adult court system aims to punish and deter offenders, with the end result being that defendants often face high rates of conviction and severe penalties. Needless to say, it is crucial for your son or daughter to remain in what is known as “family court,” which is where juvenile cases in New Jersey are adjudicated. When a juvenile is charged with a violent crime such as aggravated assault, armed robbery, or kidnapping, the county prosecutor’s office may seek to have the juvenile offender charged as an adult. If the presiding judge in the case grants the prosecution’s motion, then the juvenile charges will be transferred to adult court and the juvenile will be tried as an adult defendant. This means that the juvenile will be subject to the more severe penalties associated with an adult conviction. 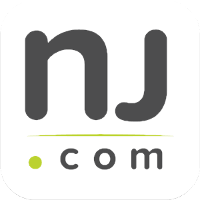 In the worst cases, the juvenile offender can be sentenced to incarceration in New Jersey State Prison, where they will become a part of the adult prison population. The Tormey Law Firm has successfully defended numerous juvenile clients against both juvenile and adult charges in New Jersey courts. We will fight to keep your son or daughter out of the adult court system. Contact the knowledgeable Essex County criminal defense lawyers at the Tormey Law Firm today. You can reach us 24 hours a day by calling 201-654-3464, or you can email us to schedule an in-person meeting at our office in Newark, New Jersey.